Fascinating to think that the UK populations could rise to 70 Million. As a Londoner for the last 25 years I've noticed the change in the sheer number of people living and moving about in the city, especially when I head for public transport every day. As a frequent traveller, I've seen the rise in other major cities too. Tokyo - bigger and busier - seems to run on time but with an infectious energy way into the late evening. Paris, still manages to run at its own pace, even though its old, narrow streets, make moving around slowly an imperative. The challenge for these and other global mega cities in the next 25 years will be to stay liveable and functional whilst at the same time capturing the benefits of advances in technology for the citizens living there. It begs the question whether city planners will in future be Chief Technologists also? 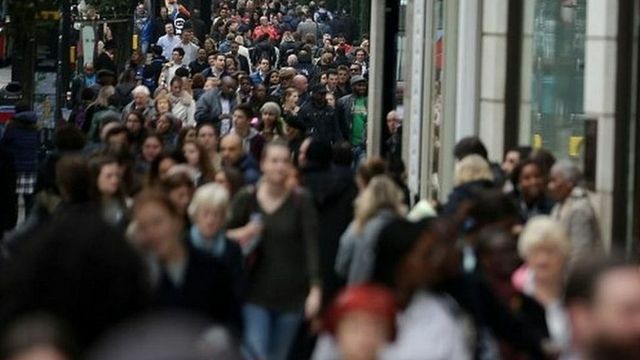 The UK's population is set to exceed 70 million before the end of the next decade, according to the Office for National Statistics.